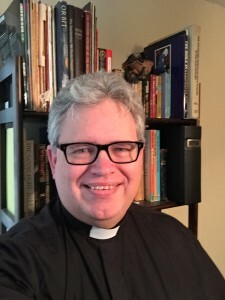 The Constitution and Canons Committee is responsible for the maintenance of the living, governing documents that define the procedures and processes to conduct the operations of the Episcopal Diocese of Fort Worth and its churches and institutions to enhance the spread of the Gospel of Jesus Christ to the world. periodically reviews the C&Cs with an eye to make them more understandable and to improve the efficiency of the diocese in carrying out its Mission/Vision Statement. These actions are then presented to the Diocesan Convention for Convention deliberation and determination of acceptance. Which Article does this proposal relate to? GIve the reference as specifically as possible. For example, "Article II.3.1 - Adult Lay Delegates"
What change(s) do you propose? Quote the specific language you propose to delete and/or add. For example, Delete: "...." and Replace with "..."
Which Title and section does this proposal relate to? Give the reference as specifically as possible, with the number and title of the canon. For example, "Canon II.5.3-Assistant Registrars"
What change(s) do you propose to this canon? Which Title do you propose adding to? Look through the existing Constitution to see which Title your proposals fits into. You can also select "I'm not sure." Put here the specific language you propose adding. If you're not sure what specific language you want to add, describe as specifically as possible what you are proposing. Look through the existing canons to see which Title your proposals fits into. You can also select "I'm not sure."